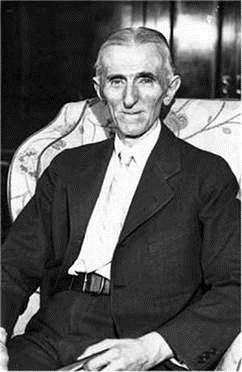 In June 1900 an article of Nikola Tesla "The problem of increasing the energy of mankind." "Electricity is produced naturally, is another source of energy that can be made ​​available. In the lightning discharges contains a huge amount of electrical energy that we could use through its transformation and accumulation. A few years ago I published a description of the method of converting electricity, which is the first part of the task of accumulating energy lightning, although it will be difficult to implement. In addition, it is known that electric currents are constantly circulating through the ground, and between the ground and the air layer exists in any difference in electric voltage, which varies in proportion to height. In recent experiments, I, in this regard, has opened two new and important phenomenon. One of them consists in that the wire having one end grounded and the other goes up high, a current that is either due to the rotation of the Earth about its axis, or because of its translational movement. However, it is not certain that the current will constantly pass through the wire as long as the electricity is not created an opportunity to seep into the air. Its outflow of largely facilitated if the raised end of the wire connected to the terminal with a large surface area and lots of sharp edges and spikes. So we can obtain a constant flow of electricity by simply holding the wire at a height, but, unfortunately, the quantity of electricity, which can be obtained in this way is small. The second phenomenon, set me was the fact that the upper layers of air are constant electrical charge opposite to the charge of the Earth. That, at least, I interpreted his observations, from which it follows that the Earth is from the inner insulation and the upper conductive shell forms a strongly charged electrical condenser containing, in all likelihood, a large amount of electrical energy that can be paid to the benefit of a person if be able to raise the terminal to great heights. " Speaking about the first part of the task, Tesla probably has in mind the method, described in detail in U.S. patent number 462418, received November 3, 1891 (almost 9 years before the publication of the article). 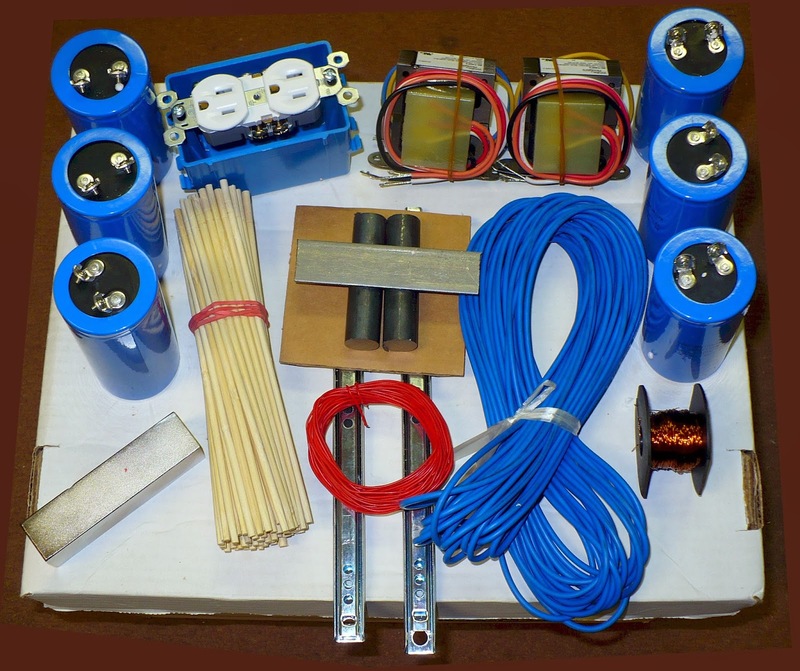 The patent describes a method for the energy storage capacitor to the source which then discharges into the working circuit, comprising converting device, which may be lights, transformers, etc. Working on a high frequency inverters, since 1891, scientists are developing many types of converters, as well as those components devices. December 8, 1891, Tesla receives the patent number 464667 "Capacitor". Proposed capacitor characterized in that the dielectric oil is applied, and the distance between the metal plates can be adjusted. The aim of the invention was to eliminate all possible dielectric gas bubbles, which generally resulted in significant losses when working with high frequency and high capacity. "First of all, it was very important to know what is the capacity of the Earth? And what kind of charge it contains the electrification? Although we have no positive evidence that there is space next to other bodies charged in the opposite way, it is possible that the earth is such a body, for whatever the process that resulted in the separation of the Earth - as is the case today, conventional wisdom on its origin - it should conserve battery as it occurs in all mechanical fission processes. If this is a charged body, isolated in space and the capacity to be extremely low, less than one-thousandth of a farad. However the upper layers of the atmosphere - the conductors may be the same and the environment outside the atmosphere, and it may have the opposite charge. Then the container may be far higher. In any case, it is important to understand how much electricity the Earth contains. It is difficult to say whether we'll ever get such knowledge, but I hope that we get, and it is by an electrical resonance. If we ever be able to determine what is the period of oscillations of the Earth excited by its charge against the oppositely charged loop, we get the fact that most likely the most important for the well-being of all mankind. I suggest looking for this period by an electrical oscillator, or AC power. One of the conclusions, for example, will be connected to ground or municipal water supply, and the other with an isolated subject of large dimensions. It is possible that the upper atmosphere or outer space, are of opposite charge, and with the Earth form a capacitor huge capacity. In this case, the period of oscillation can be very small, and the dynamo AC would meet the objectives of the experiment. Then I would have converted the current so as to obtain the highest possible potential and joined the ends of the secondary winding of the high voltage to ground and isolated body. Varying the current frequency and thoroughly soaking isolated body potential and observing perturbations in different locations adjacent the surface, can detect resonance. If, as most scientists believe, the period is small enough, the dynamo will not work and will have to build the corresponding electrical oscillator, and perhaps such rapid fluctuations can not be obtained. " Working with its transducers, Tesla notes that the chain has inductance, together with the distributed capacitance, has its own resonant frequency. Sometimes, to obtain the necessary parameters to the coil can be added in parallel capacitor, however, is not always convenient and appropriate. In July 1893 Tesla applied for a patent and 9 January 1894, received patent number 512340 "reel electromagnets." This coil is different in that the two parallel wires is wound, which are connected in series so that one end of the wire connects to the beginning of the second. This was done in order to increase the potential difference between two adjacent windings. As you know, working on a resonant coil (with its own inter turn capacity), can store energy is proportional to the square of the voltage between two adjacent threads. Therefore, such a coil is many times greater than with a single-coil-wrapped. Illustrate this point: if the coil has 500 turns in one layer, the voltage at its ends 500 volts, then the potential difference between two adjacent windings 1 volt. Now consider two winding wires, when coils 500 obtained by connecting two coils of 250 turns each, according to the scheme of the patent. The difference now is not 1 volts and 250 volts. So this coil can store up to 62,500 times more energy (250 2/1 2 = 62500). "For example, without a choke coil as a single device can be dispensed with provided that the circuit in which it could be a sufficiently high inductance is obtained in other ways. Similarly, strictly speaking, is not required and the capacitor if the circuit itself has sufficient capacity to achieve the desired result. " Number 568176 "A device for generating a high-frequency current and potential"
Number 568177, "An apparatus for producing ozone"
Number 568178 "Control Method of apparatus for the production of high-frequency currents"
Number 568179, "Method and apparatus for generating a high-frequency currents"
Number 568180 "A device for generating a high-frequency currents"
We know that any electrical circuit if its ohmic resistance does not exceed certain limits, has a natural period, similar to the period of oscillation suspended spring. To cycle the charge given circuit external periodic pulses and most efficient discharge frequency of the applied pulse should be in a certain relation to the natural frequency of the circuit. Moreover, during the discharge circuit must be connected in the same ratio with a period of the charging circuit. If the conditions are such that the general law of harmonic oscillations is not broken, chains are included in the electromagnetic resonance or synchronicity for my system is very useful. Therefore, in practice I adjust electric circuit parameters so that the resonance condition is generally satisfied. For this purpose, the current number of pulses supplied per unit time in charging circuit is equal to the period (frequency) of the charging circuit natural oscillation and the same ratio is maintained between the charging circuit and the discharge. Any deviation from this requirement can lead to a reduction of output power, and I use this fact to its regulation by varying the frequency of the pulses or vibrations in a number of chains. " August 16, 1898 Tesla gets seven patents on different controllers electrical circuit, whose main task - the effective switching charge and discharge circuits. The main objective pursued by the scientist at perfection - to reduce the loss by opening and closing the breaker, and raise as much as possible, the speed and the switching frequency. Number 609250 "Electric ignition gas engine"
As you can see, Tesla still able to develop controllers that provide the opportunity to receive a very high frequency of interruptions. In the period from 1899 to 1900, he uses all his practical experience in the laboratory in Colorado Springs, where and test their ideas. Work diary contains a detailed description of the scientist's work done. When the switch is closed, the charge coil stores energy and then are opened, the energy stored in the coil takes the form of a high-voltage pulse and flows into the capacitor, charging it, then again there is a closure, then the energy stored in the capacitor starts to make high-frequency oscillations in the discharge circuit in While charging coil again accumulates energy from the source. The secondary winding, tuned to resonance, is not strong inductive coupling with the primary winding to the free oscillations can occur with maximum force. After reviewing all of the dependencies and properties of such a system, Tesla January 18, 1902 shall apply for a "Device for the transmission of electrical energy", the patent will be the same it has received only 13 years later. This patent number 1119732 dated December 1, 1914. "The primary coil may be excited in any way from a suitable source of G, which can be an alternator or a capacitor, the basic requirement is to establish a resonance, that is, the output D to be charged to the maximum voltage of the circuit ... If the transmitter has more power, the setting should be made with special care, in the interests of economy and security. I showed that in the resonant circuit like EABB 'D can cause huge electricity power, measured in hundreds and thousands of horsepower ... it is advisable to start with a setting of weak and low frequency vibrations compelling, and gradually increasing their increasing frequency until able to achieve complete control over the machine. " It becomes clear that here embodies the idea of ​​Tesla, he expressed during a speech February 24, 1893 on how to interact with the electric charge of the Earth, and how to properly configure the corresponding idea. Note that the patent number 787412, application for which was filed May 16, 1900, described in detail the principle of proper configuration of the system. Bases as described in U.S. Patent number 649621 May 15, 1900. 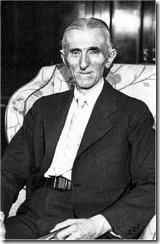 Noteworthy is the fact that by studying the possibility of using the energy of the atmosphere, Tesla tried to use the converter "static" type (patent number 685957 on November 5, 1901) for use of radiation energy, which proved very ineffective in contrast to the "kinetic" (patent number 1,119,732 ). "In order to achieve positive results with this method, will appear, it is necessary to apply light with a wavelength far less than the emitted radiant heat reflector, light, infrared and ultraviolet rays. Contrary to my multiple explanations experts apparently did not understand that by means of the reflectors such a concentration of energy, what do I get to the wireless power system can not and does not ever be achieved since the transmission power in this manner the receiver can pick up a quantity of energy is proportional to the irradiated area, ie an affected rays, while in my system, it absorbs energy from the immense reservoir in a much greater amount. "